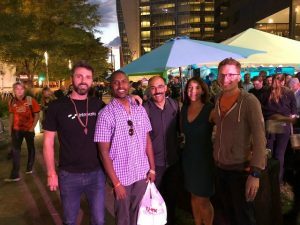 Another great Denver Startup Week has come to a close with over 16,000 registrants engaging in all aspects of the weeklong event. The event brings together people from all realms into one energized and inspired week—small businesses and major corporations, job seekers and hiring managers, mentors and mentees, presenters and panelists, innovators and creators, and everyone in between. Here’s what you missed if you didn’t make it, and if you were there with me, here are some great moments to relive! 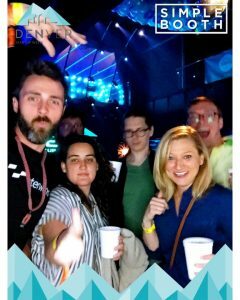 One of the cool parts about Denver Startup Week is that it takes place all over downtown Denver. 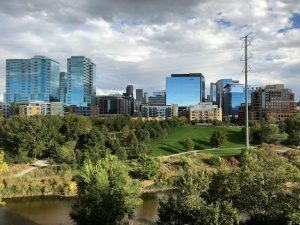 This means you get to explore all the nooks and crannies of the rapidly developing city, including the late-blooming former warehouse neighborhood RiNo and the University of Colorado Denver campus. 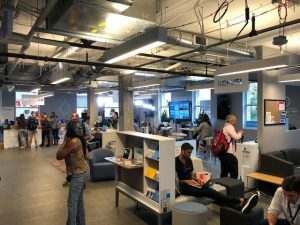 The Basecamp at the Commons on Champa served as a great starting point. Here, you could register, refuel with coffee and snacks, send a few emails, pop into a free 20-minute therapy session offered through StartTalking.io, get advice from experienced business leaders, or plan out which sessions to attend across the six main tracks (Designer, Developer, Founder, Growth, Maker, Product). The heart and soul of the conference are the opportunities to learn from others at one of the 300 sessions offered. The highlight session for me was “A Modern Approach to Analytics and Business Intelligence,” hosted by our partner Snowflake. 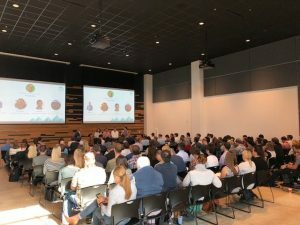 Tarik Dwiek moderated a panel of four people from two successful startups (Havenly and PaySimple) and two software companies in the analytics space (FiveTran and Looker). It was fascinating to hear stories of hip startups like Havenly moving from pinging their production SQL Server transactional database directly for analytical queries (yikes!) to a well-rounded analytical stack that includes FiveTran, Segmet, DBT, and Redshift. A key takeaway from this session was that no one is using one tool to solve all their analytics problems—it’s really a matter of selecting tools for specific tasks and ensuring that those tools play well together. This flows into another common theme of “products” becoming “platforms.” We are seeing this with Tableau’s introduction of the Extensions API, as well as our own Portal work at InterWorks, and Looker is trying to keep pace. These platforms are supporting more integrations with other tools like Salesforce, so you’re able to not only get insight (e.g. 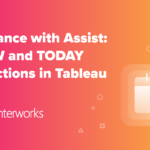 seeing which leads you need to follow up on), but also take action in Salesforce from within your Tableau or Looker dashboard. This is all part of building a well-rounded analytics stack that enables you to gain insight and take action. What would you do if you knew the Chief Technology Officer of Hillary Clinton’s 2016 presidential campaign and the Product Manager behind Google Wave (RIP) and the Chief Product Officer at the time of Strava’s PR snafu that revealed military bases were all going to be giving a talk, and all those roles were held by the same person?! I wouldn’t want to miss that. 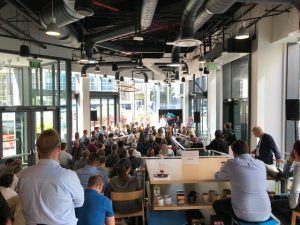 So I popped over the Galvanize to see Stephanie Hannon talk on “Resiliency in Product Management.” She spoke vulnerably and candidly about those difficult moments so that other people could learn from them. Whether you’re releasing 55 apps in 20 months like Stephanie did on the Hillary campaign or pushing out Tableau dashboards on an infrequent basis in your organization, Stephanie stressed the importance of the iterative process and ensuring that each iteration actually works. 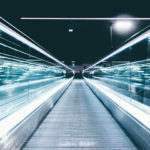 From Google Wave, we learned the lesson of trying to do too much at once, like building a brand new product, platform and protocol, as well as setting goals at the beginning that didn’t make sense a year and a half later. The lessons at Strava were all about crisis management and being open to genuinely evaluating your product and process. Is there a bug? No. 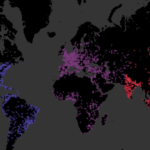 Are privacy controls clear? Yes, but they could be better. What do we say to athletes/partners/press/government? Take ownership and improve the product. Seen across all of these examples was the idea that having a growth mindset allows you to flourish as you stumble along the way, which is a great lesson no matter what field you work in. Another great session that got me outside of my usual work was “Getting Started with Digital Advertising.” Celina Adcock, Head of Streaming at Facebook, was the highlight of this panel, reminding us to “test, learn, figure it out, and scale it.” While that was referring to understanding the effectiveness of your digital ad campaigns, it ties back to the idea of harnessing a growth mindset and learning as you go. 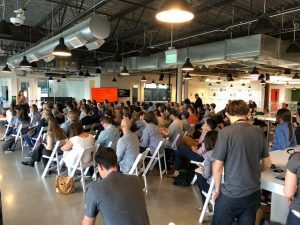 Ultimately, this was a major theme of the entire week and a huge reason that Denver Startup Week adds so much value to the community. While the learning opportunities are the heart of the week (the free food and drinks are nice, too), I’d be lying if I said the social and networking opportunities aren’t a major reason for attending. I met someone who flew in from New York City with the explicit purpose of finding a job in Denver, and she shared with me how warm and welcoming the people were. 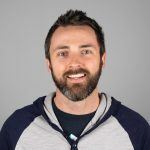 Another person I met from Silicon Valley told me how unique it was that people in the Denver startup scene are so willing to share and mentor. Then there was Tracy from Strava who let me crash in the Strava office while I waited for the next session to start, and Taj who showed us around the Pivotal office once the session ended. The friendliness of the startup community is top notch. Whether you’re looking to get hired or find clients, mentors or potential new hires, the options abound. Throw on top of that bumping into old friends, former co-workers and current clients, and the social and networking aspects can’t be beat. Even your friends who are wavering will get out if you send them enough texts. That’s the energy and inspiration of being around other ambitious people, and this event harnesses that spirit so well. All the learning and networking happens somewhere, right? 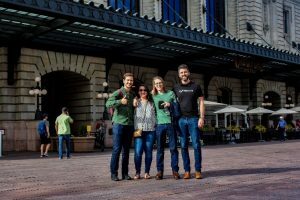 This year Denver Startup Week introduced the Passport Program to get you major discounts at supporting venues. A few of my favorites were Birdcall (2-for-1 chicken sandwiches and a snazzy new point-of-sale system), and Novo Coffee (some of the best coffee and roasting facility tours in town). 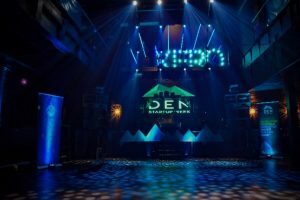 The fact that Denver Startup Week took place all over downtown Denver and the surrounding area meant that I got to explore places I may not otherwise make it to, like hip new venue Rock Steady (Cold Crush revitalized) and Super Mega Bien. 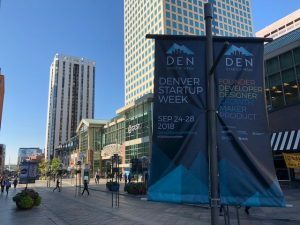 Whether you find SMB’s Latin American dim sum paired with the tunes of Discovery and Ra Ra Riot to be eye-rollingly ironic or culturally nuanced and in tune, there’s no denying that Denver Startup Week will get you out of your bubble if you let it. The closing bash at nightclub Beta was just another example of this. I wouldn’t have ended up there on my own before, but now I’ll definitely consider it as another place to go dance in this fine city. 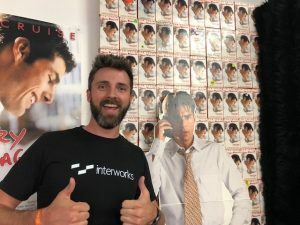 And what better way to close the week than visiting the Jerry Maguire Video Experience curated by Everything Is Terrible? These are great examples that will continue to remind me to keep a growth mindset, a lesson from this week that I don’t want to forget. 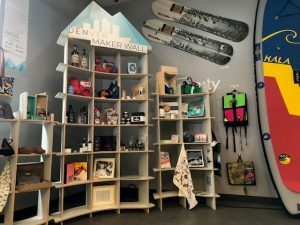 The one-of-a-kind Denver Startup Week shows the great things that can be accomplished when a community comes together.